Yesterday BT emailed customers alerting them to the imminent removal of the Fox channel, ahead of The Walking Dead mid-season premiere, from the company's TV lineup this March. “We’re sorry about this but we’ll keep bringing you great TV – including loads of top channels like Comedy Central, GOLD and Universal – as well as a number of ways to watch the latest and greatest US dramas," the email continued. This is another indicator of the increased rivalry between competing companies, escalating sports rights and first-run exclusives, drivers of subscription uptake. BT TV has first-run rights for The Walking Dead prequel series Fear the Walking Dead, which will be available on Amazon Prime later this year, and Sky Atlantic isn't available to Virgin Media subscribers who will miss the first-run of The Twin Peaks reboot next year. 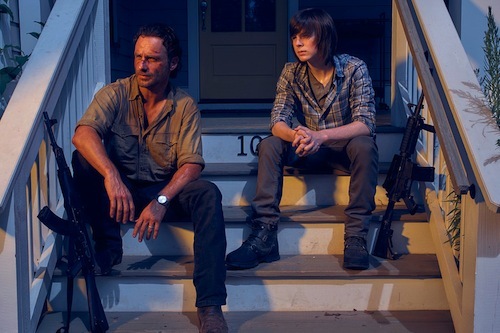 However, The Walking Dead fans can subscribe to NOW TV for £6.99 per month, contract free, and never miss an episode of the series or Talking Dead. Marvel's Agent Carter and NCIS are back on Fox too.